At Schneider Electric we offer a flexible work environment enabling you to take control of how you work, this may take many different forms depending on individual requirements. Your career will be meaningful, inclusive and you will be empowered. We expect that our employees put customers first, embrace different and act like owners. We have a great opportunity for a dynamic and positive Human Resources professional. The role is a 12 month fixed term role, based in Benalla, North Victoria and reports into the Plant Director, Energy Management. You will be an experienced, pragmatic and hands-on HR Business Partner to join our progressive and dynamic Human Resources team. With your focus on our manufacturing team in Benalla, this role will see you implementing and providing support to business unit management in their effective implementation of operational HR strategies, principles & processes in line with the broader Pacific Zone strategies. In addition, you will participate as a member of the local management team in support of the achievement of the unit's business objectives. Your ability to build great relationships across all levels of a business from the shop floor to senior leadership teams is a strength; you naturally champion diversity and inclusion. Calm under pressure, you can negotiate and manage complex relationships and competing priorities to achieve positive outcomes in line with business needs, both locally and offshore. You have highly developed communication skills and are confident in dealing with diverse stakeholders in a large and complex environment. You are passionate about people and contributing to HR best practice! 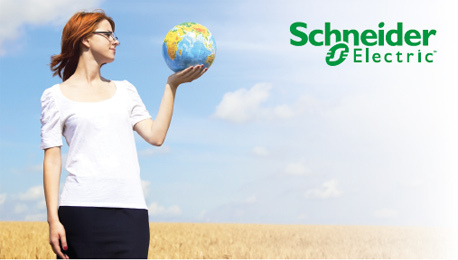 At Schneider Electric, we are open, we value differences, we listen, we learn, connect, and collaborate with others. We are proud to promote diversity, inclusion and work-life integration ? we?re a great place to work and are continually striving to be the best place to work, join us and see how!